Cake decorating has become somewhat of an art form. I have seen cakes of all shapes and sizes including animals, cartoon characters, batman cars, iphones, handbags and everything else in between. If you are just starting out with cake decorating, you may wish to start with something simple like the "gift cake" below. 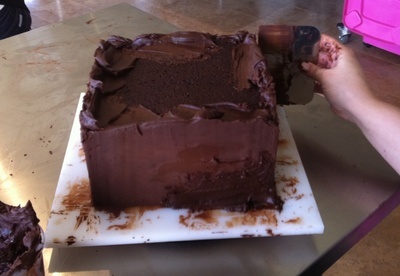 Cut your cake into 3 even layers, using a large knife. 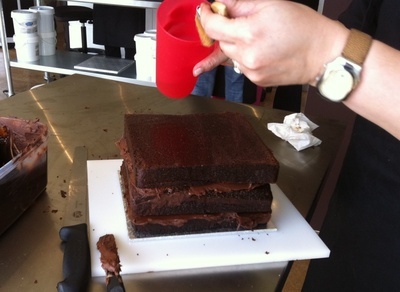 Cut off any excess cake, ensuring the top layer is level. 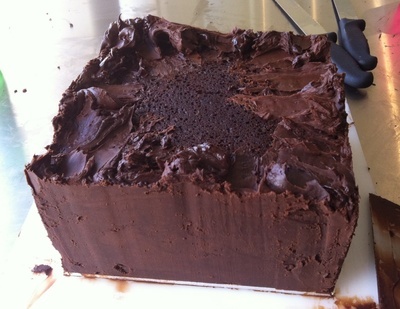 Brush cake syrup on bottom layer of cake and then cover with ganache. 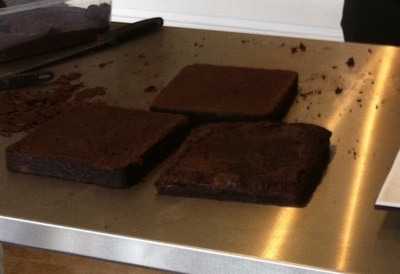 Place middle layer on top, brush with cake syrup and cover with ganache. Place third layer on top and brush with cake syrup. 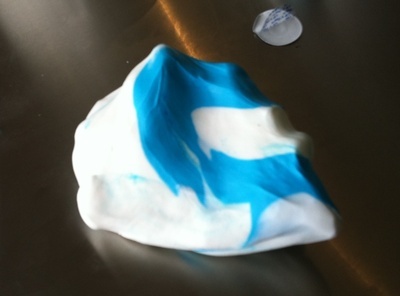 You can colour your fondant with any colour. Simply add a few drops of fondant colouring and then knead until colour is evenly spread throughout. 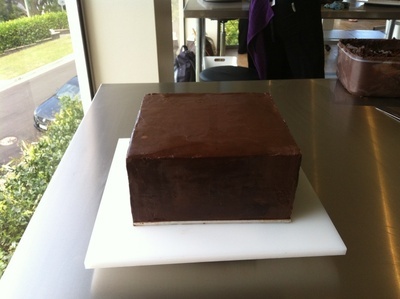 Cover large square cake board with coloured fondant by rolling out fondant to desired size, 1/4 inch thick. 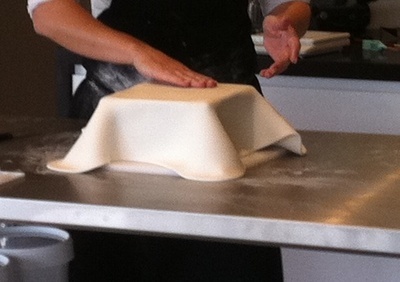 Position over board using a rolling pin, draping fondant over edge. Trim excess fondant from edges under bottom of board. Smooth top and sides with Smoother. 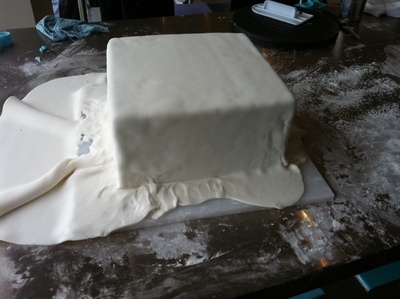 Position white fondant on cake, smoothing the top with Smoother. 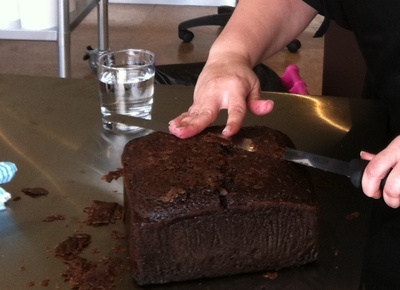 Pull the corner flaps gently out and away from the cake; smooth the corners with hand to eliminate the creases. Smooth sides with Smoother. 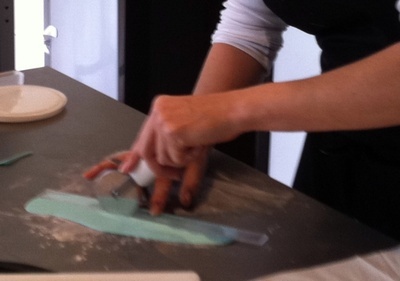 Trim off excess fondant at bottom with a spatula or sharp knife. 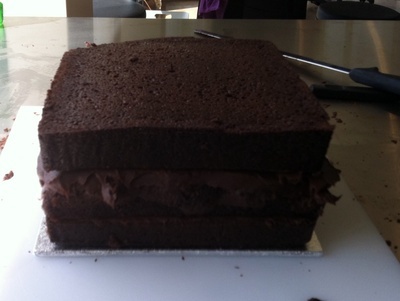 To give a finished look, smooth top, all sides and bottom edge of cake again with the Smoother. 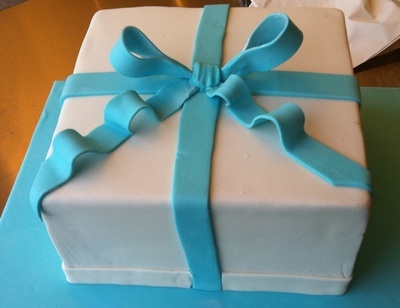 To create a bow, roll out coloured fondant and cut into cm wide strips. 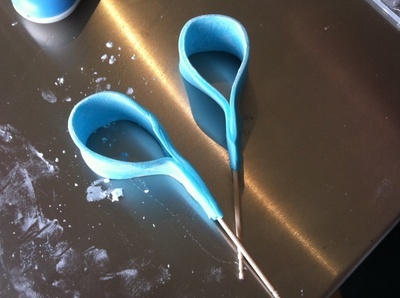 Make a loop out of fondant strips and squeeze bottom part around toothpicks. Allow to harden. 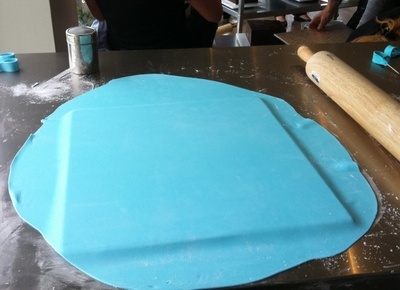 Cut further strips of coloured fondant, long enough to cover cake from one side to the other. 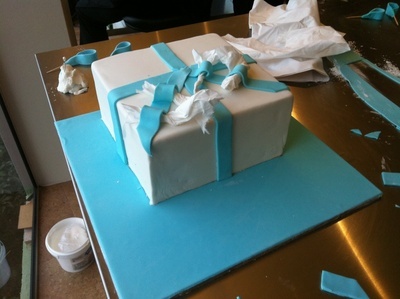 For a ruffled ribbon look, lift up parts of fondant and support with tissue, until fondant sets. Remove tissue. Stick toothpics with bow into the middle of the cake. 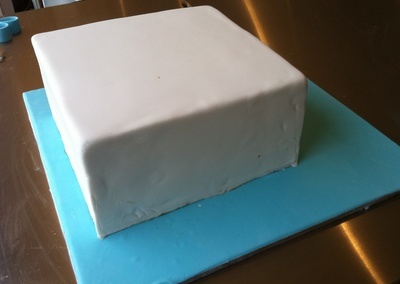 Cover with a square of fondant to hide top of toothpics. And tadaaaa! You have a beautifully decorated cake. If you’ve never decorated a cake, I would highly recommend you attend a class, where you will learn all the latest cake decorating techniques. The best thing about attending a class is that at the end you walk away with your own professionally decorated cake. What are some jobs you can do from home? Wow that's an amazing cake Natasha. I especially love the flower and butterflies. Will you be making any more cakes? I did that class about a year ago and although it was so much fun, it took quite a while, especially to get everything smooth and wrinkle free. The class happened to coincide with mum's birthday, so she got that as her birthday cake. - Always keep fondant covered when you're not working with it. If it starts to dry then you're more likely to get creases and cracks, which aren't very pretty. 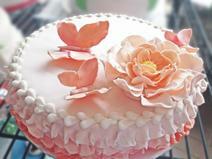 - There are things you can add to the fondant to make it harden quicker, and stay harder. Like tylose, trag, cmc, etc. - You can use royal icing to stick on things like flowers etc, it's just a really simple recipe of eggwhites and icing sugar till you get the right consistency. Beautiful cake Ivana. Did you use it for a special occasion. 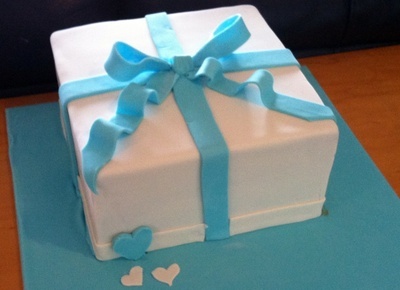 My niece woud love something like this, swap the colours around and it's almost a 'Tiffany' cake.